Have you been dreaming of one day having a wardrobe that’s 100% handmade? For today’s guest blogger, Sara Johansen from The Sara Project, she’s one blouse closer to achieving her me-made goal with today’s tutorial! Sara is joining us (for the first time!) to share her take on a boho blouse featuring our Organic Sweet Pea Gauze™. If you’re looking for a light and airy top to add to your wardrobe, this is the pattern for you! 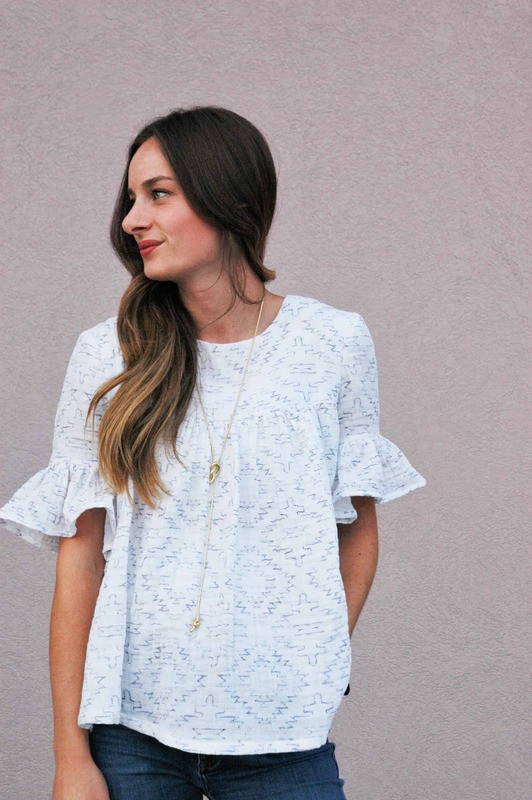 Add a gorgeous print from holli_zollinger and you’ve got the perfect day to night blouse.